A commitment to innovation is very often the hallmark of a good company. Especially in a field that’s marked by a stiff competitive landscape and rapid change brought on by new technologies, such as is the case in industrial services. But what makes a company truly great, and makes it truly stand apart from its competitors over the long term, is such a passionate commitment to innovation and doing things “the right way” that it doesn’t veer from these principals even when it’s on top. And in a lot of ways, it could be said that Apache Industrial Services is among the top in the industrial painting industry. 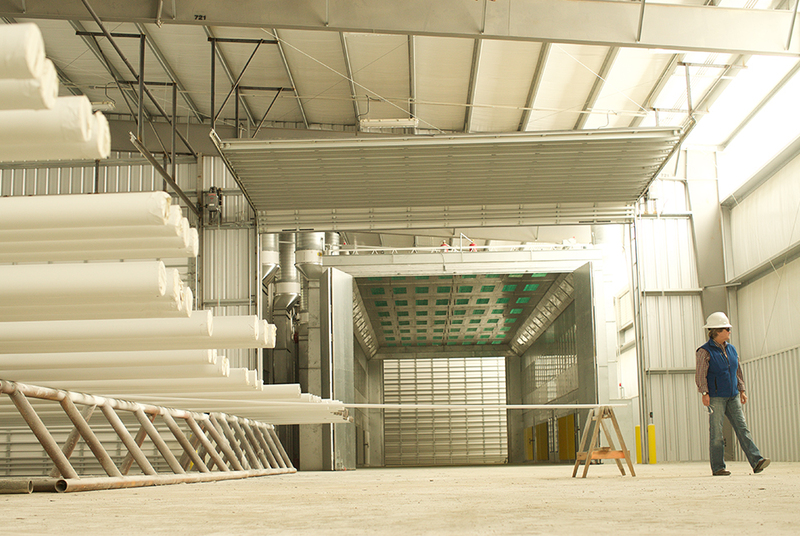 The Houston, Texas-based industrial services company opened a 125-acre campus last year, massively expanding their capabilities for the shop application of pipeline coatings for clients in the oil production industry, both upstream and down. They found that by shop-applying pipeline coatings, they were able to execute jobs for their customers at a 20-30 percent lower cost than in the field. As such, they committed to large-scale growth in the equipment and production space that would ensure they could accommodate a wide range of projects. 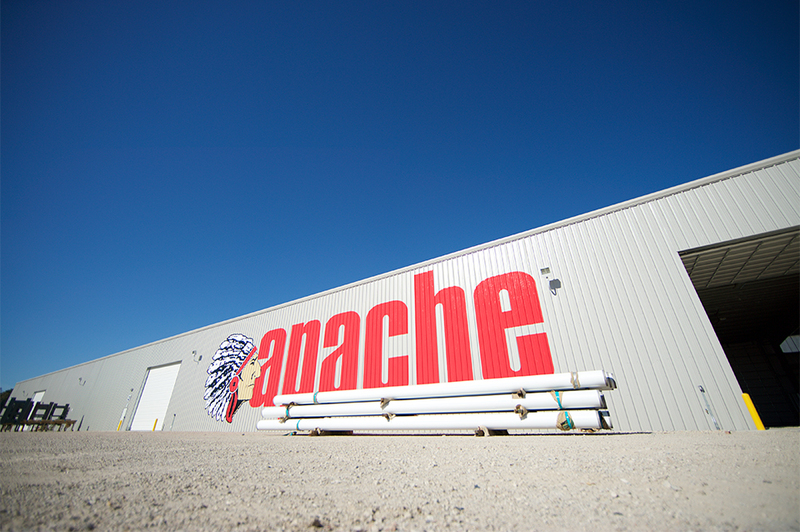 Apache’s Houston Operations Center, the largest shop-coating facility on the Gulf Coast, perfectly embodies Apache’s commitment to innovation and expansion, but it’s not the only noticeable sign of its commitment to these principals. Apache’s road to such high esteem within the industrial services community is about more than its 300,000 square feet of production warehouse space the willingness and capability to acquire new subsidiaries that bolster its capabilities in core business areas. Its reputation was built on a commitment to transparency, innovation and safety. And one can’t talk about Apache without talking about safety. Their invitation to a journalist from CoatingsPro Magazine to visit a weeklong safety seminar led by top Apache brass at their Houston headquarters in late 2012 is only one example of the company’s transparent commitment to safety both in the field and in the shop. Its employees were encouraged to bring along a photograph of their reasons for avoiding injury to that seminar, adding a tangible tinge to what remains for some companies an abstract ideal. It’s this commitment to constant improvement that makes Apache stand out among its peers. As it happens, in 2011, another company set out to shake up the industrial painting industry. But this company set out to partner with innovators like Apache, rather than to be another competitor. TruQC was founded exactly with these relentless improvers in mind. It imagined a better version of quality control for companies willing to step outside the box. One that embraced new technologies and was meant for the companies brave enough to embrace them. TruQC was designed for companies which display an emphasis on strategic growth and a never-ending commitment to process refinement. Meant to address inefficiencies and loopholes in the reporting process, it was designed to be a tool for companies that wanted to do things a better way, even if they were doing them pretty well already. Built for the iPad, TruQC was designed to be cloud-based, so that real-time syncing would keep all of its users stay on the same page on any given project, whether in the field or the home office. Inspection device integration was meant to ensure the accuracy and verifiability of inspection measurements. Intuitive data storage and retrieval methods were meant to address issues that used to arise when keeping an enormous amount of physical paperwork on hand, sometimes in unforgiving environments. Safety was an important priority for TruQC from the outset as well. Certain features of the app were designed specifically to make it more difficult for users to skirt industry-standard safety measures and to make it easier for contractors to voluntarily commit to better record-keeping and safety training. It was also meant to encourage inclusive dialogue between management and employees within industrial services companies. For jobs like the coating and lining of oil and gas pipelines, where both human and environmental safety is on the line, TruQC was meant to play a role in mitigating potential dangers arising from cutting corners in quality control. When integrity and innovation are more than just buzzwords—and truly drive the direction of a company like Apache Industrial Services—TruQC is there to help put that commitment into action. And on numerous pipeline coating projects since the companies began working together, the tangible benefits have included less time spent on quality control documentation, increased transparency and an enhancement of Apache’s reputation for delivering projects on time. Apache has used TruQC’s quality control software on a number of pipeline projects since they began using TruQC in September of 2014. Following a month of training, Apache crews found that they were able to execute the same documentation tasks they had before, in a fraction of the time. “The ability to manage different coating systems, access isometric drawings for verification purposes and reference line lists, all while conducting and releasing holdpoint inspections, has allowed for a more expeditious inspection process and enhanced the projects overall,” said Cathey Perkins, Vice President for Quality Assurance at Apache. TruQC’s permission-based workflow process for report approval also makes it easier on Apache’s quality control inspectors to keep reports moving along the approval pipeline. Its original chain-of-command workflow was built with quality control inspectors in mind. It can be customized to match the internal workflows common to companies like Apache and for pipeline projects in general, adding further efficiency to a process that’s been subject to miscommunication in the past. Communication between Apache and its clients has also improved while using TruQC. Objective reporting metrics like time, date, photo, GPS and signature stamps all help to increase transparency when reports are passed between Apache and the project owner. The app is also able to provide further clarification when communicating project details by allowing for photos and annotated drawings to be included with reports. According to Apache, TruQC has enabled them to consistently produce a more comprehensive and representative inspection report for pipeline coating projects than without the software, in a fraction of the time. Apache estimates that using the software to upload inspection data saves an average of one to 1.5 hours per day per quality control inspector. Smart field population of repetitive data and dropdown field pickers are the type of efficiencies that, when considered against the salary of a full-time staff member, can lead to a significant return on investment. It seems that the days of filling out reports in the cramped cab of a truck while inspecting pipeline projects also won’t be missed by Apache quality control staff. Especially on jobs that take crews far from the home office, the app’s ability to act as virtual, portable file cabinet and drastically reduce the need for physical paperwork is seen as a blessing. The Daily Inspection Report is a favorite among Apache staff for its ability to document project-critical measurements and ensure compliance with regulatory standards. Apache also now uses the software to keep track of daily timesheets. But, predictably for those familiar with Apache and its reputation, they’re also taking the opportunity to use TruQC as a documentation tool to enhance overall crew safety. Reports such as TruQC’s Toolbox Talk Report are available to document safety and training meetings, where attendance can be logged, associated documents stored and site safety surveys conducted. When a company truly commits to continued growth, it doesn’t stop looking for a better way to do things. It’s exactly those types of companies TruQC set out to assist. There’s a better way to approach quality control, both in the shop and in the field. 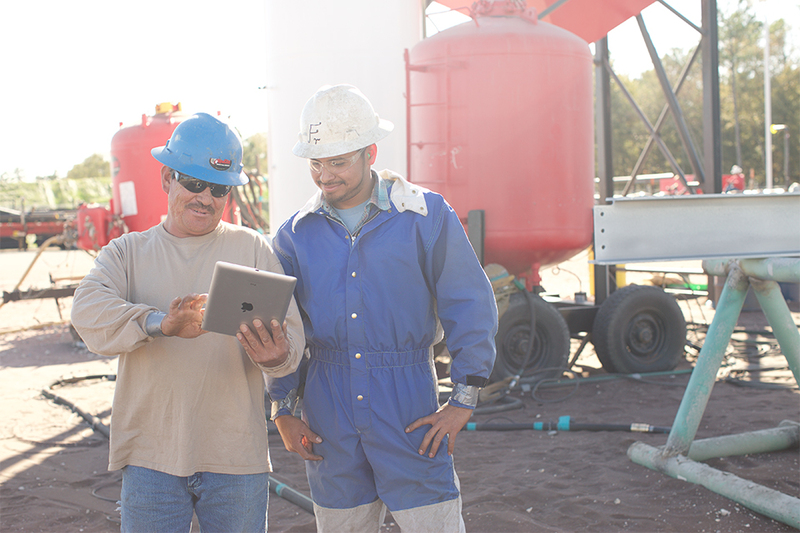 On pipeline projects for Apache Industrial Services, we’ve drastically reduced the amount of time quality control staff spends filling out paperwork, allowed them the freedom and mobility to do it from anywhere, and enhanced transparency and communication between parties.